Vine made video fun. You could watch, create, and share short looping videos – anytime, anywhere. But Vine is now closing. What’s next for Vine Creators? Have you spent countless seconds creating short Vine Clips? Have you developed a large following on Vine? Have you found Vine to be one of your favorite social media platforms? If you answered yes to any of these questions then I’m sure you’re saddened by the news that Twitter is shutting the platform down. Vine at it’s peak, had over 200,000,000 active monthly users which made it a vital platform for those looking to share their thoughts and ideas in a quick video soundbite. Unlike YouTube which still maintains their dominance in the online video creating and sharing community, Vine was more about quick sharing, micro vlogging similar to Twitter’s micro blog character limit. But Why did Twitter Choose to Shutter Vine? While Vine was a promising platform, other social media websites started introducing similar features. Instagram rolled out their short video clips, Facebook debuted their Live Video feature which directly targeted YouTube but also impacted smaller social sharing platforms like Vine, Snapchat has been steamrolling the social media landscape with its fast paced user growth, YouTube has been heavily pushing back FaceBook’s threat which also consumed a lot of people’s limited time on social media and yes, Twitter itself has been having a tough time competing in the ever changing social media landscape. 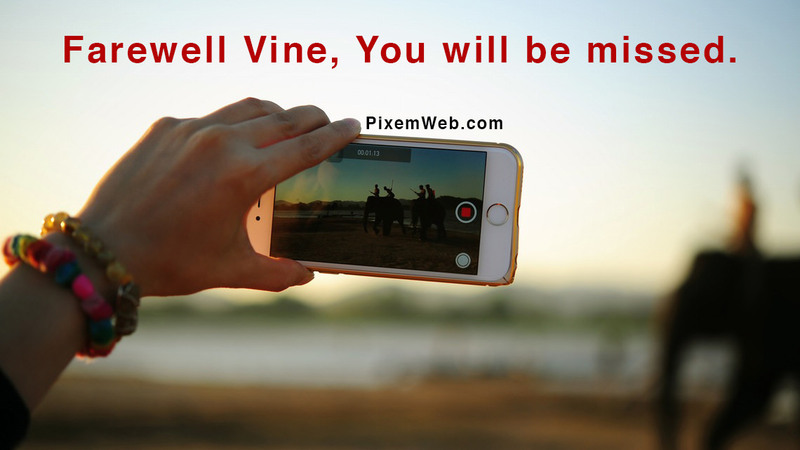 While Vine may be coming to a close, Vine Camera will be taking its place, albeit with the purpose of creating shorts videos to share directly on Twitter itself or to simply save the videos to your phone. Social Media is a great way to share your thoughts, ideas, make connections and market your service/business. But the landscape is changing and investing your time in just one service or platform can be detrimental to your goals as a Blogger, Vlogger, Business or Social Media Influencer; especially when the service closes down or changes their algorithm. That is why I always recommend that people first invest their time and energy on their own website/blog and then be actively involved on several social media websites that fit their niche. Take a look at our How to Start a Website Page for to create your own foundation online. As always, thanks for reading and don’t forget to subscribe.